Yes, humans share nearly identical DNA. But, with ~3 billion bases in the human genome, there is a substantial amount of variation within our species. Each base can be represented by a single letter (A, T, C, or G), and there are ~10 million positions in the genome where large numbers of people have different letters from one another. 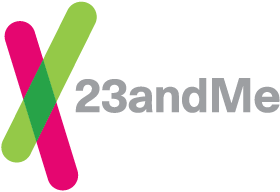 By considering these sites of common variation, called Single Nucleotide Polymorphisms (SNPs), we can locate your close family members from within the 23andMe database and display the shared stretches of DNA.